The Ecuadorian President has a number of things to say about Julian Assange, and why Ecuador made a decision to hand him over to UK authorities. Justifying the decision to lift diplomatic asylum from Julian Assange, Ecuadorian President Lenin Moreno claimed the WikiLeaks founder used the embassy premises as a "centre for spying," among other things. "We can not allow our house, the house that opened its doors, to become a centre for spying," Moreno said in an interview. "It is unfortunate that from our territory and with the permission of authorities of the previous government, facilities have been provided within the Ecuadorian embassy in London to interfere in processes of other states," he said. Moreno's comments could be a reference to WikiLeaks recent publication of information on the Ecuadorian President's brother, who, according to the leak, has established an offshore company. Private pictures of Moreno and his family have also reportedly been leaked online, according to The Guardian. The president also accused Assange of a number of lesser everyday wrongdoings, which he says made any form of co-existence with the WikiLeaks founder "impossible." "He maintained constant improper hygienic behaviour throughout his stay, which affected his own health and affected the internal climate at the diplomatic mission. In addition, Assange had health problems that should also be resolved," he said. He added that Assange reportedly "mistreated" embassy personnel. "Assange's attitude was absolutely reprehensible and outrageous after all the protection provided by the Ecuadorian state for almost seven years. He mistreated our officials in the Ecuadorian embassy in London, abused the patience of Ecuadorians. He developed an aggressive campaign against Ecuador and started to make legal threats against those who were helping him," Moreno added. 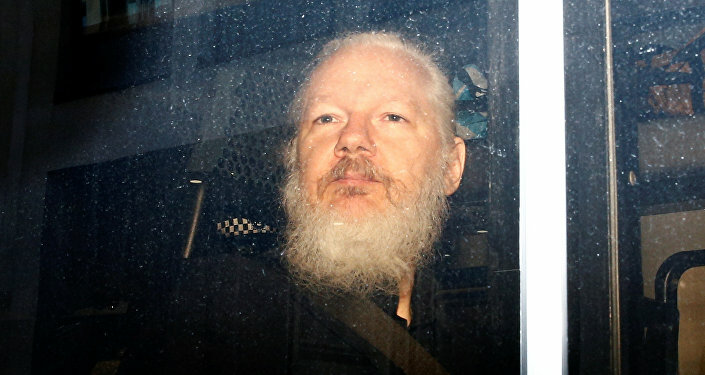 Moreno denied all allegations that Ecuador conspired with the US to evict Assange in exchange for relief from state debt. "It is a fallacy that there will be debt relief in exchange for Assange. This statement was generated and disseminated by groups related to the previous regime, that didn't seek a solution to the Assange situation beyond keeping him locked up in our embassy," he said. "The withdrawal of [Assange's] asylum occurred in strict adherence to international law. It is a sovereign decision. We did not make decisions based on external pressure from any country." Assange's lawyers have dismissed Moreno's allegations, calling them "outrageous," adding that Moreno tried to justify his "unlawful and extraordinary" decision. Former Ecuadoran President Rafael Correa, who granted Assange diplomatic asylum back in 2012, blasted the decision to expel Assange, calling it "a crime humanity will never forget," and describing President Moreno as "the greatest traitor in Ecuadorian and Latin American history." "I think the first thing to say is Ecuador has been making some pretty outrageous allegations over the past few days to justify what was an unlawful and extraordinary act- allowing British police to come inside an embassy," said Jennifer Robinson. In 2012, Daily Mail reported on Assange's living conditions. "The studio room has space for little more than a mattress on the floor," they wrote at the time. "A rickety shelving unit, and a small round table with leatherette chairs." He has also reportedly developed a chronic lung condition as the result of staying inside the embassy at all times. In 2018, Ecuador cut off Assange's Internet access, which was then restored in six months following a UN intervention. "It is positive that through UN intervention Ecuador has partially ended the isolation of Mr Assange, although it is of grave concern that his freedom to express his opinions is still limited," Kristinn Hrafnsson, WikiLeaks editor-in-chief commented at the time. "The UN has already declared Mr Assange a victim of arbitrary detention. This unacceptable situation must end. 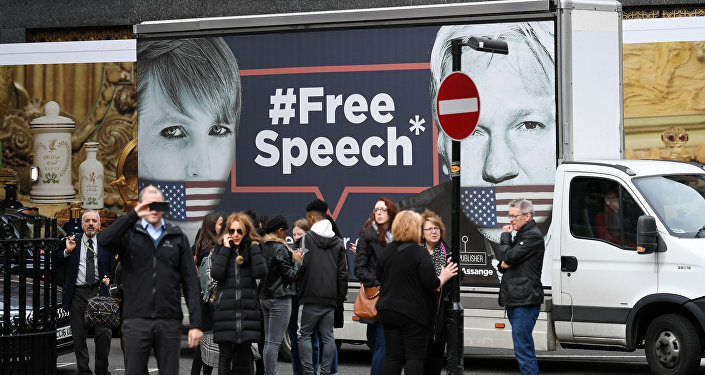 The UK government must abide by the UN's ruling and guarantee that he can leave the Ecuadorian embassy without the threat of extradition to the United States," she added.